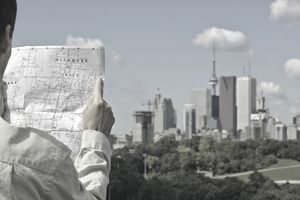 Extra-provincial registration is a process of incorporation in Canada that both Canadian corporations in Canada and foreign corporations have to go through when they seek to do business in Canada or in various provinces or territories throughout Canada. "Currently, any client completing their federal incorporation process through our Online Filing Centre has the option of filling out extra-provincial registration forms for Saskatchewan, Ontario, Nova Scotia, and Newfoundland and Labrador. If people set up a provincial corporation in any Canadian province or territory, and they want to do business in any other province or territory, they will have to fill out the extra-provincial registration forms for the province and/or territory where they want to do business. This can be a very easy and inexpensive process. In Ontario, for instance, all an extra-provincial corporation has to do is file an Initial Return/Notice of Change, Form 2 under the Corporations Information Act, within 60 days after the date the corporation begins to carry on business in Ontario. There is no fee for this. The extra-provincial registration process and the fee, however, varies depending on whether or not you wish to register an operating or style name in the province and where your business is located. Extra-provincial registration also applies to foreign corporations who want to do business in Canada. If, for instance, a corporation headquartered in Spain wanted to do business in Ontario, that foreign corporation would have to register as an extra-provincial corporation in that province. If the foreign corporation wanted to do business in more than one province, it would need to register separately with each province, which would mean contacting the provincial registry of each province it wanted to do business in to get and fill out required forms and pay the fees ($330.00 in Ontario as of this writing). Foreign corporations also need to be aware that for extra-provincial registration, they will need an Agent for Service, an individual, 18 years of age or older who is resident in the province they want to do business in, or a corporation having its registered office in that province. In Ontario, they will also need an Ontario-based NUANS name search report; an original Certificate of Status issued by the government of the home jurisdiction, and a covering letter. The requirements for extra-provincial registration in other Canadian provinces and territories are similar.